Qtum a Shanghai-based blockchain company, announced on Wednesday a more than 1 million USD angel round from top blockchain evangelists, academics, venture capitalists, and technology enthusiasts on Wednesday. The company claims they have the world’s first digital currency that can execute smart contracts with a proof-of-stake consensus mechanism, and are now working on a project called Qhola to circulate its currency on top of WeChat mini program. Some of the project backers include Kuaidi founder Chen Weixing, OkCoin CEO Star Xu, founder of Ethereum and Jaxx Blockchain Interface Anthony Di Iorio, blockchain technology advocate Bo Shen, and Chinese angel investor, Xiaolai Li. Qtum (pronounced “quantum”) is an open-source value transfer protocol and decentralized application platform that aims to pool the development resources of Bitcoin with decentralized application developers from Ethereum. Ethereum is a platform and a programming language that makes it possible for any developer to build and publish next-generation decentralized applications. “Bitcoin is primarily a value transferring network while Ethereum is predominantly a smart contracts platform. Qtum utilizes the core technology from both of these platforms; it merges the value transfer technology of Bitcoin with smart contract execution technology of Ethereum,” John Scianna, PR manager at Qtum told TechNode. The funding will allow the Qtum Foundation to develop a working beta of the project. Until now, the team has managed to get the Ethereum Virtual Machine (EVM) running on a fork of Bitcoin Core 0.13, which allows the company to use many of the decentralized applications that were already built on Ethereum. 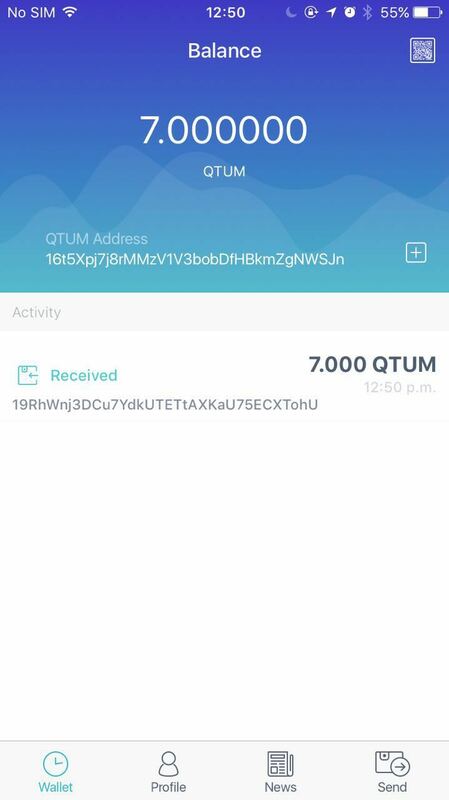 Qtum is currently compatible with the existing Simple Payment Verification “light wallet” protocol and will support mobile device use cases. “The support we received from public figures in both the Bitcoin and Ethereum communities illustrates that we are uniting these two groups,” said Patrick Dai, Founder of the Qtum project and previous employee at Alibaba. An alumnus of Draper University, Partick has been part of the Bitcoin community since 2012. Many current blockchain projects were built with the ideology that technology should disintermediate corporations, and have programs run by themselves with no central governing body. Most businesses, however, will continue to rely on people for most operations, but there are still many use cases where blockchain technology can reduce waste and inefficiencies for businesses. Qtum aims to be the bridge between the two so that users can have autonomous applications and businesses can have their blockchain applications without having to create their own technology from scratch.